Here is a summer time image from the Nova East Star Party. Processing Calibration, stacking and DDP Images Plus . The image was stacked and aligned twice, once on the comet and once on the stars. 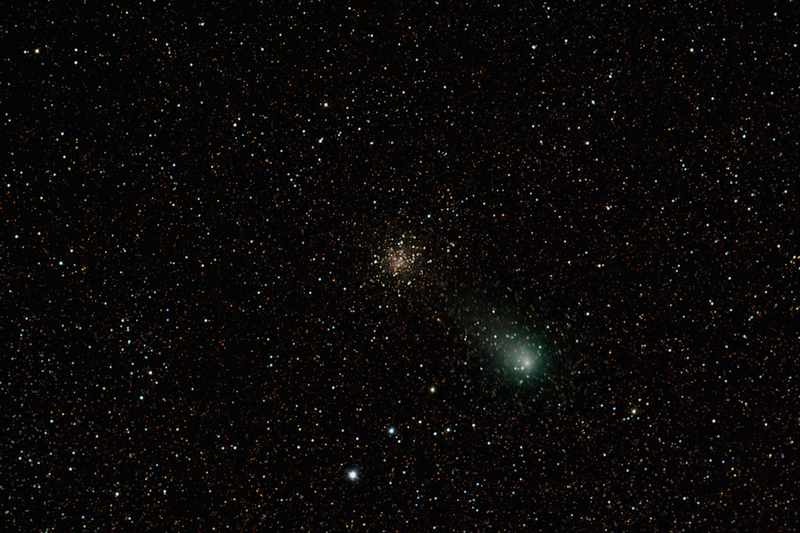 The comet stack was combined using a median combine to prevent trailed stars. The two images were layered and a mask was used to let the untrailed comet show through. Noise reduction applied in Paint Shop Pro . The star colour was enhanced slightly and a masked curve used to reduce the stars slightly.